Initials, Inc – Sip, Sip Hooray! I am a firm believer that having the perfect tools are an important part of success. Having the perfect bag is also part of making life easier, which is one reason I have loved Initials, Inc since I first discovered them just a few years ago. Initials, Inc exploded onto the direct sales scene 13 years ago when one mom simply wanted her sons name embroidered on his diaper bag. What began at her own kitchen table has grown into one of the largest direct sales companies in the country with Independent Consultants called Creative Partners in all 50 states! Initials, Inc offers a wide variety of bags, totes, scarves, sweatshirts, hats and more – ALL of which can be personalized – FOR FREE! Independent Initials, Inc Creative Partners like Ruthann Szente are sharing the Initials, Inc Company Mission to Have Fun! Make Money! You can purchase Initials, Inc products right online from Ruthann’s website or earn free and discounted products when you host an Initials, Inc Party in your home or online! You can even earn Initials, Inc Exclusive Hostess Shoppertunities too! You are also rewarded when your friends book their own shows from your show! If you are looking for even more, consider joining Ruthann’s team and grow your business sharing these gorgeous products! You can run your Initials, Inc business how you want – by hosting in home and online parties, attending vendor events, catalog parties, all online – it is totally up to you! You’ll earn 25%-39% on your personal sales, earn discounted products each season for FREE or half-off, snag cash bonuses at every level of our leadership plan, earn trips for you + 1 (you’ll never travel alone at Initials, Inc.) and so many other perks and rewards along the way! Featured Product: Sip, Sip Hooray! Independent Initials, Inc Creative Partner Ruthann Szente sent in the perfect bag for the Diva Holiday Gift Guide! 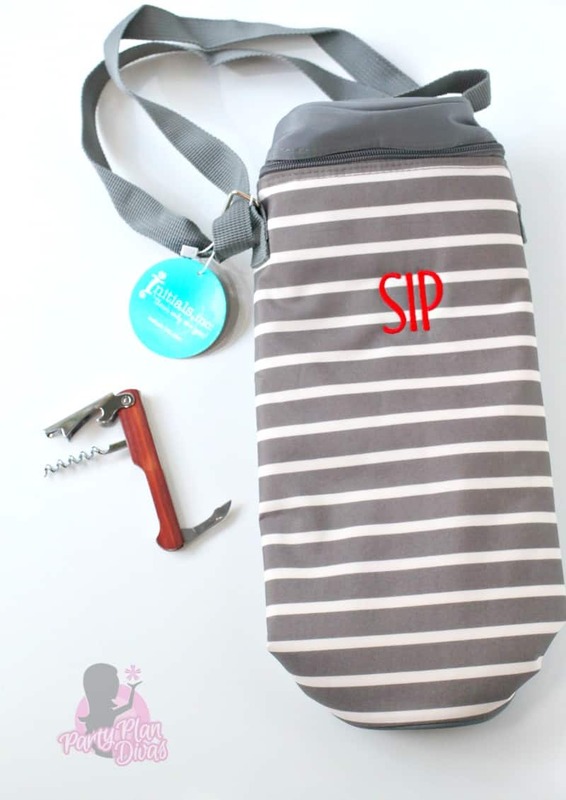 The Sip, Sip, Hooray is an insulated beverage carrier that has a zipper closure and adjustable strap to carry along easily. While you can carry most any beverage you choose in your Sip, Sip, Hooray, it perfectly fits a nice big bottle of wine. 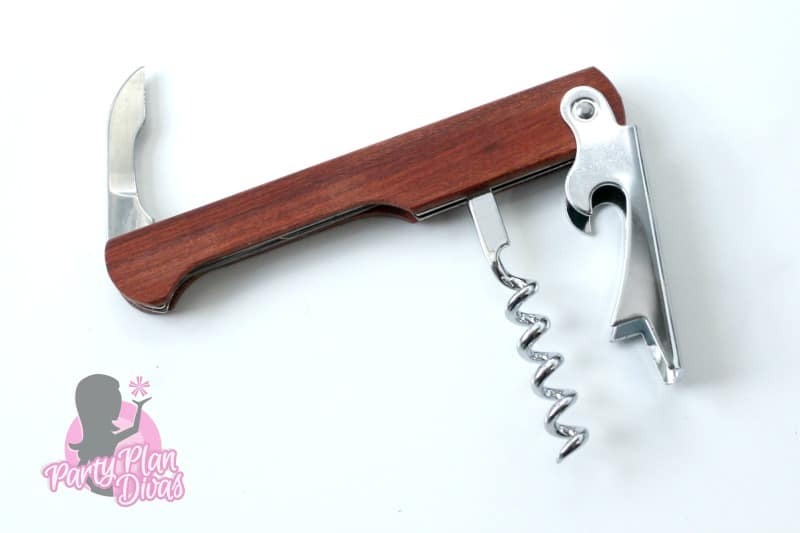 In fact, it even comes with its very own wine key right in the top! Ruthann personalized my Sip, Sip, Hooray with a simple “SIP” – but you can put most anything you choose – FOR FREE! These are perfect gifts for everyone on your holiday shopping list! Check out Ruthann’s website to learn all about how you can get involved with Initials, Inc! I am excited to offer one lucky reader a $25 Shopping Spree from Independent Initials, Inc Creative Partner Ruthann Szente so you can choose which of their awesome products you want to try! You can enter using the RaffleCopter widget below! Good luck!